JeepForum.com > Models > Jeep Grand Cherokee & Commander Forums > WJ Grand Cherokee Forum > Rock slider recommendations? 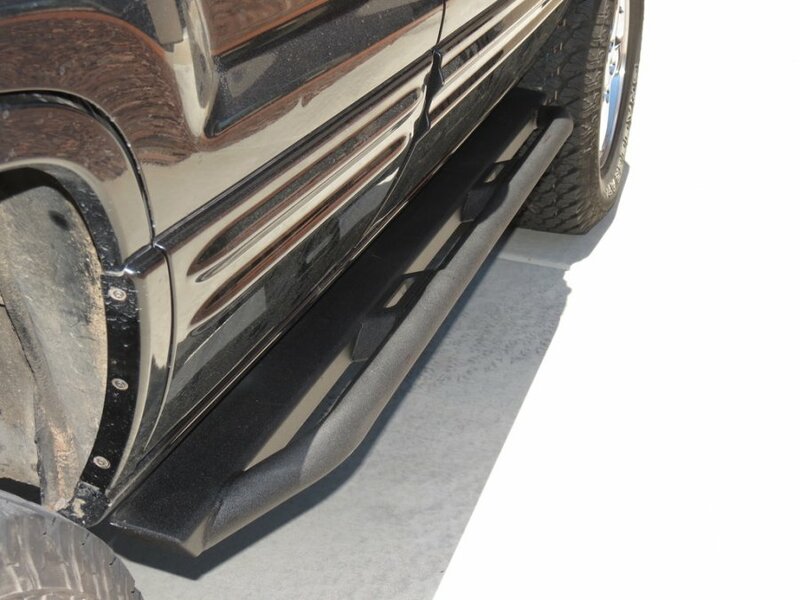 Looking for a quality product that features minimal reduction to existing vehicle clearance. TIA. I installed a set of JCR Offroad Classic sliders. I very happy with them so far. I'm looking to buy some sliders as well. I'm tracking the JCR sliders and HK Offroad is currently developing new sliders. Mind posting some more pictures of yours? JCR is excellent too. I carry JCR if anyone is interested in a set. Kevin's are available in bare steel only. JCR is available powdercoated. Yukiyu, my installation pictures are on my built thread. See the link below. I got them through Kolak also. Find someone local to fab some. WJ accessories are stupid expensive from most these shops IMHO. I was quoted about $300 to fab mine. Lol the sliders posted are $79 more than your quote. That your "quote" was pretty damn close to that of reliable well documented and tested rock rails.